As with strawberries, I love when blueberries come into season -- they're sweeter, more affordable, and I love watching Laurel and Vi gobble up all those nutrients. 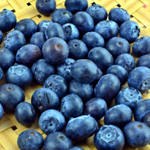 It's National Blueberry Month and blueberries are in season in Massachusetts July and August -- hooray! This week's Eat Seasonal feature includes 10 tasty ways you can incorporate seasonal blueberries into your day, all the way from breakfast to dinner. 1. 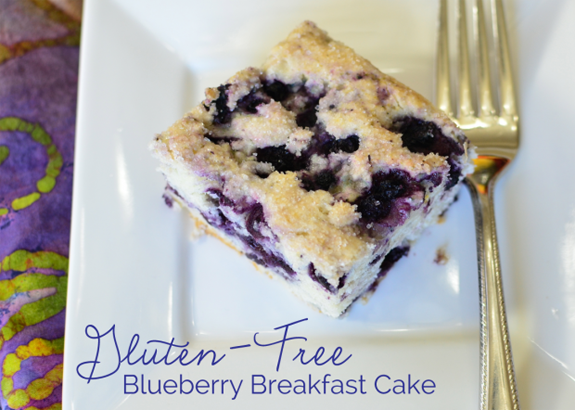 This gluten-free breakfast cake is a yummy way to start the day. 2. 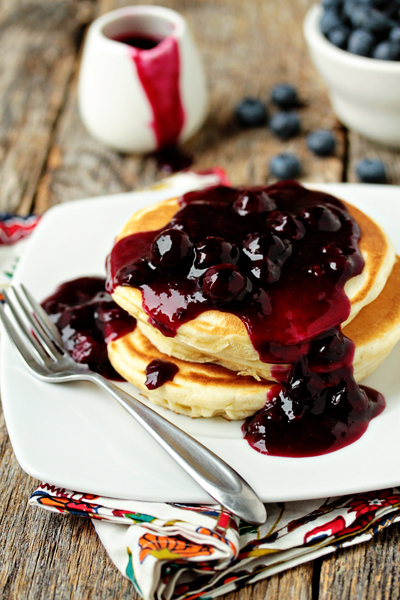 Adorn your pancakes (or, er, ice cream) with this homemade blueberry sauce. 3. 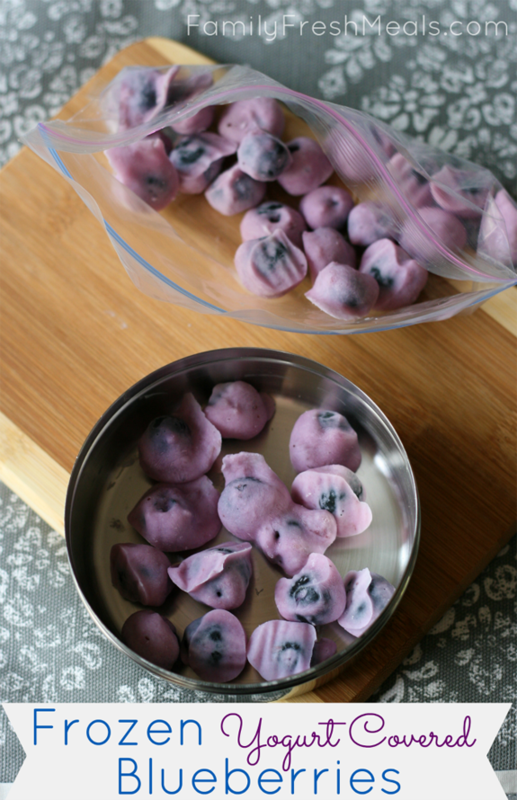 These frozen yogurt covered blueberries are the perfect summer snack. 4. 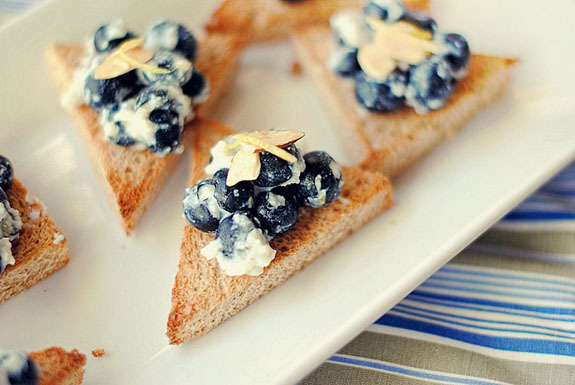 Give your appetizer lineup a fresh twist with these blueberry almond crostinis. 5. 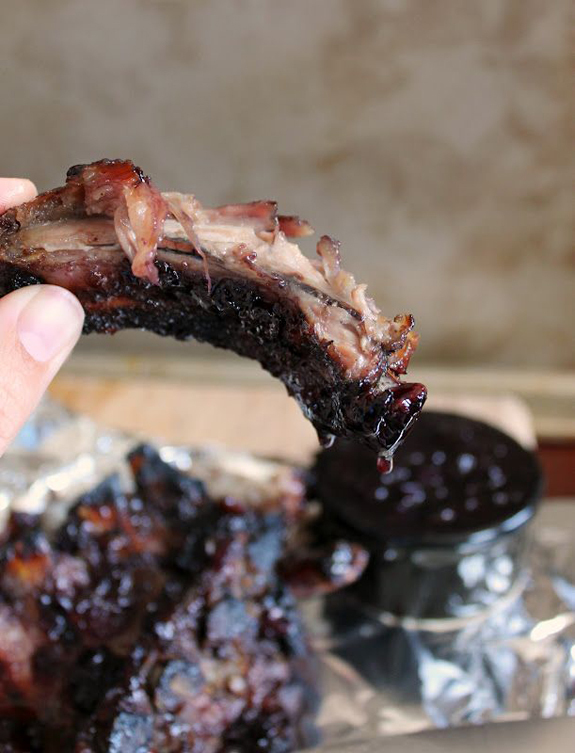 Bust out your crockpot for these blueberry glazed crock pot ribs. 6. 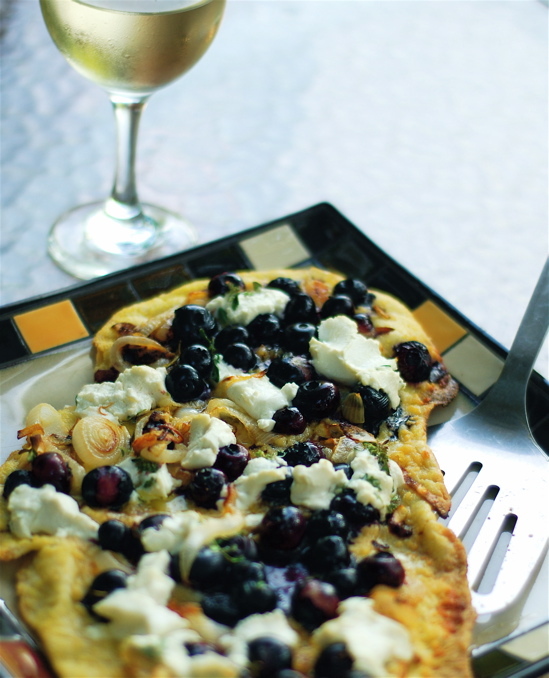 Grilled blueberry pizza makes the perfect quick dinner. 7. 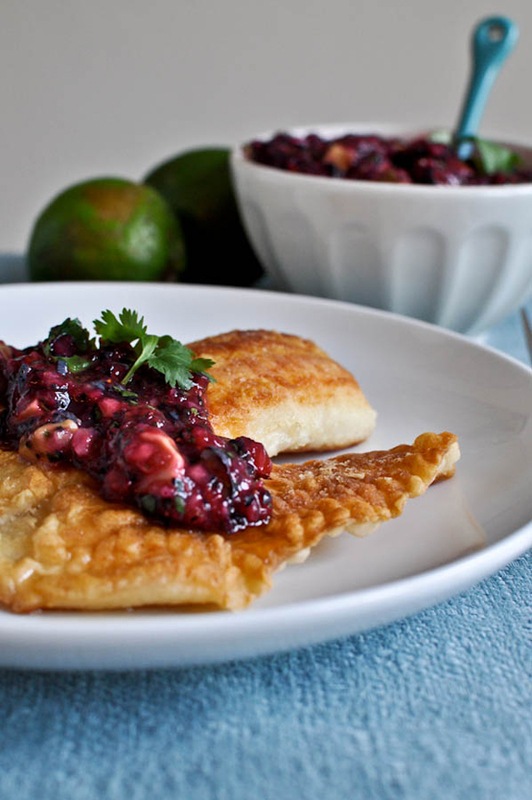 This blueberry lime salsa? So clever. 8. 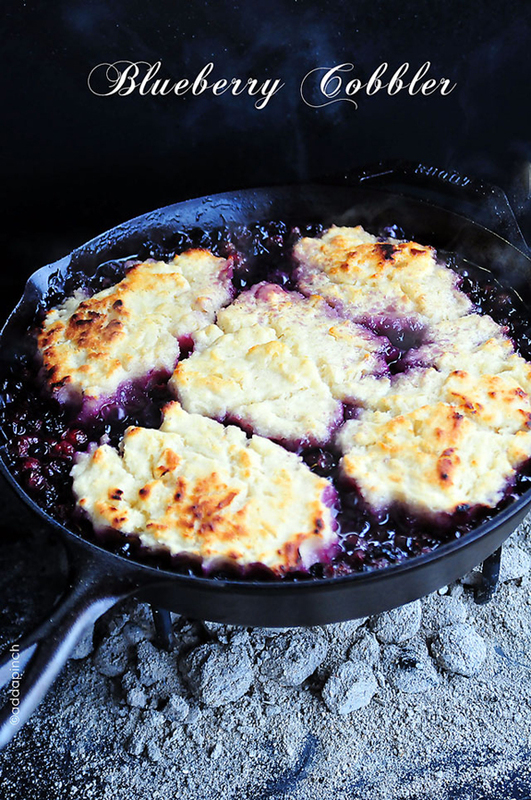 Tough to go wrong with a classic blueberry cobbler. 9. 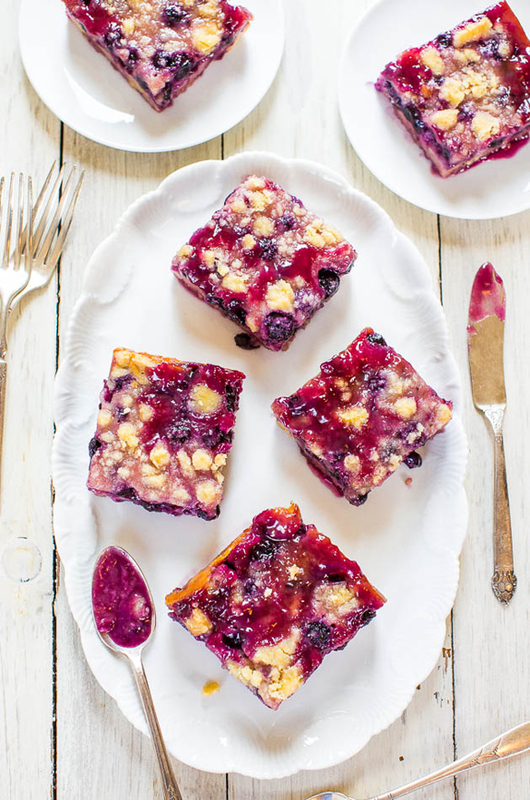 Slicing and serving dessert is a breeze with these blueberry pie bars. 10. 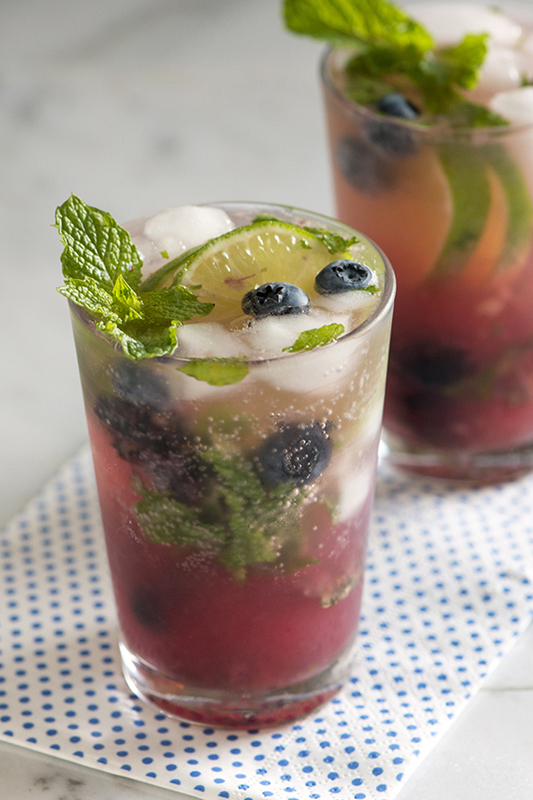 Invite blueberries to cocktail hour with this blueberry mojito recipe.